However, there are still some known issues with the build with Network connectivity failures and mouse is not displayed on x64 builds. Also, Joule may become unstable after 30-60 minutes due to an issue with the graphics driver. Check out the full changelog below. Fix column alignment in Windows Device Portal (WDP). Network connectivity failures in MinnowBoard Max (MBM) firmware version 0.93. (Fixed in firmware version 0.94.). F5 driver deployment from Visual Studio does not work on IoT Core. Joule may become unstable after 30-60 minutes due to an issue with the graphics driver. Last week, Microsoft released Windows 10 Insider build 16257 for PC for Fast Ring members. 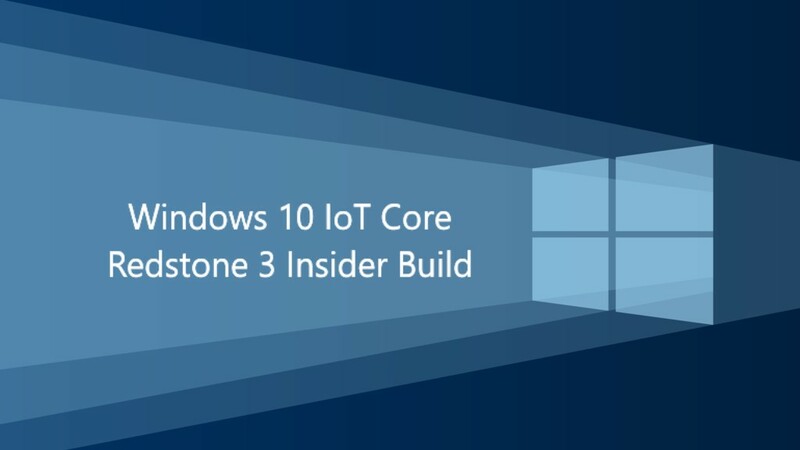 Check updates to download Windows 10 IoT Core build 16257.